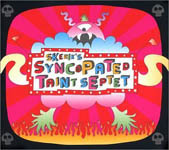 Skerik took the name Syncopated Taint from a description used by Harry J. Anslinger, the appointed Commissioner of the U.S. Bureau of Narcotics from 1930 to 1962. In the same type of puritanical, xenophobic 1930s climate that gave rise to Hitler in Germany, Anslinger pursued a zealous, sensationalistic, and often racist mission in the United States to demonize drugs and the people who use them. His campaign had a particular bias against jazz musicians, who Anslinger saw as satanic addicts responsible for the spread of marijuana use among the nation's impressionable youth. Among several other disturbing remarks to Congress, Anslinger famously differentiated between jazz music and good music. Syncopated taint was another term he used to refer to the rhythmic and moral contaminations he perceived in jazz. 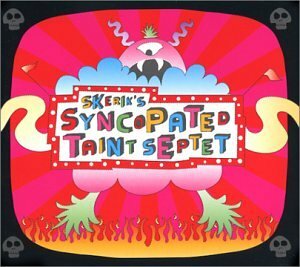 Back in Seattle last summer, after just a few gigs with the Syncopated Taint Septet, the whole band knew they had something unusual happening. The vibe and the energy at the live shows were blowing people away, and Skerik knew what he had to do. He called engineer Mell Dettmer, who wired the Owl & Thistle in Seattle to record the band live at their next gig. The result was this recording, which presents the music from that legendary night. This album is full of the loose spontaneity, euphoric moods, and spectacular moments that occur when a group of friends gets together to play in their neighborhood. All About Jazz musician pages are maintained by musicians, publicists and trusted members like you. Interested? Tell us why you would like to improve the Skerik musician page.